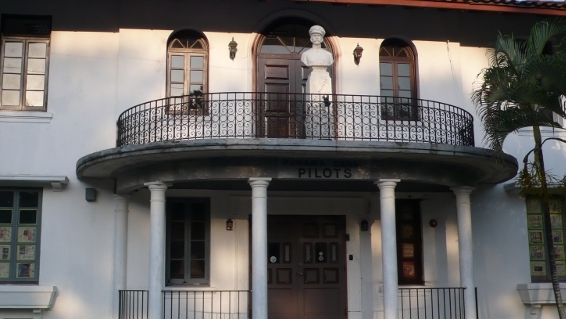 I looked out the window and saw an elegant old building dedicated to Panama Canal pilots. The question: How to steer humanity’s course through these early decades of the twenty-first century? Obviously there are immense problems. As we drove around Panama City, looking at the remains of the US Canal Zone along with the sprawl of neoliberal urbanism – and trying, pretty successfully, to catch the joyful wild Panamanian spirit through all that – our conversation returned again and again to the events of the last fifteen years, since the US military moved out in the late 1990s and the widening of the Canal was voted by referendum in the early 2000s. 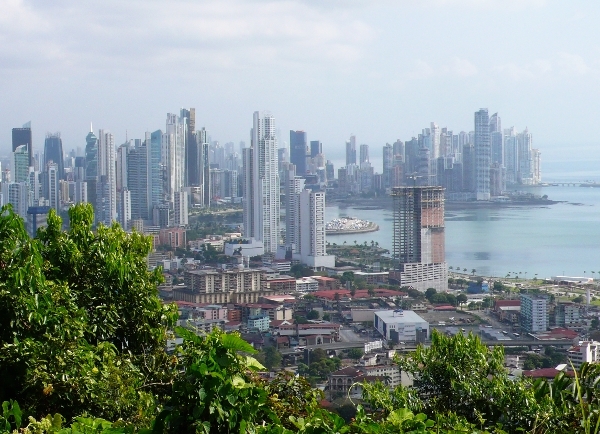 Panama gained full independence only to witness a giant real-estate boom in both the city and the countryside, and a huge speculative infrastructure boom around the Canal. Here, as everywhere, there is a deficit of perception, reflection, expression and action to make a more egalitarian and more ecologically sustainable world. Artists and thinkers should be able to contribute something to overcome that deficit, no? On the first day in town we went to the Canal Museum and began to understand how important the isthmus has been to world trade since 1515, when Balboa “discovered” what the indigenous people had always known: the Pacific Ocean. Later that night we ate dinner with a fascinating group gathered around Ela’s parents, Rafa and Charlotte, who have tremendous insights into the way this place has developed over the last five or six decades. Talk flowed freely as we met many of those who will gather next week for the Suelo residency at SaLo Veraguas, on the southern side of the Isthmus, about five hour’s drive from here. Out there we won’t have electricity or Internet, but maybe it will increase the power of eyes and hearts and eras. We’ve got a lot to learn from the past, though none of us can be proud of all of it. We’ve got even more to learn from the future. This entry was posted on January 7, 2014 at 4:16 am and is filed under Uncategorized. You can follow any responses to this entry through the RSS 2.0 feed. You can leave a response, or trackback from your own site. Artists set the seen, speculators wipe it clean. Is that the sort of contribution artists can make? Like infrastructure builders, artists make a society more amenable, which is reflected in higher land prices. This is conveniently ignored by the corruption of economics, whereby neo-cons adjudicate the free lunch (delivered by the windfall gains of land) is only worth 2% of GDP. In Australia we have just calculated such unearned incomes at 23.6% of GDP. If we are serious about a system that can finance the widening of canals whilst ensuring that beneficiaries pay their fair share (port owners and surrounding property owners), then more needs to be analysed of unearned incomes, the economic rents of the earth. Then speculative pariahs will not be able to swoop in so fast to move artists on in the gentrification process. Have a read of the Total Resource Rents of Australia report. Brian – I’d love to read more on that! If you can come up with anything more effective than taxing land to remove the profiteering aspect I’d be very interested. I agree that post GFC the mobility of capital has diversified investment portfolios into many nations. Here in the south, the Pacific is being snapped up for next to nothing, some of the last pristine environs are being carved up into subdivisions etc. Ecuador is also facing similar challenges from what a colleague says. If you would like to discuss the topic on my Renegade Economists podcast, let me know.